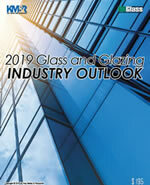 The year 2018 finished with a bang in terms of glass and glazing industry-related employment. While employment spiked in December across the U.S. economy in most major sectors, construction and manufacturing were particularly strong, according to the latest jobs report from the Bureau of Labor Statistics. Construction employment increased by 38,000 in December, and the industry added 280,000 jobs in 2018, compared with an increase of 250,000 the previous year. Manufacturing added 32,000 jobs in December, and employment in the sector increased by 284,000 over the year, following a 207,000 job uptick in 2017. The nonresidential specialty trade contractors sector, which includes glaziers and ironworkers, saw a 3.8-percent increase. 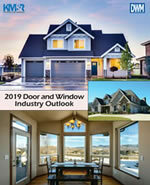 Employment in nonmetallic mineral products manufacturing, which includes architectural glass and flat glass products, increased 2.1 percent. The fabricated metal products manufacturing sector, which includes architectural metals, added jobs at a 3.3-percent rate. Employment for architectural and engineering services increased 3 percent. These are all positive signs for the current health and near future of the industry—strong employment numbers on both the demand (construction) and supply (manufacturing) sides, not to mention the services (architectural and engineering) side, which signals planning for continued demand beyond next year. And one final note! We’re reinvigorating the blog in 2019 and have some exciting things in the works. We plan to be very active here throughout the year and beyond, with updates on relevant economic and market indicators, in addition to primary research findings and analysis. So stay tuned, and Happy New Year.